We are Gower Activity Centres and we run two different activity centres in Gower, Swansea. 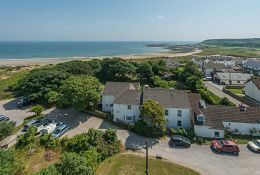 Tŷ Borfa is in Port Eynon and is situated on a family friendly Blue Flag awarded beach. We have been working closely with schools, colleges and youth groups for over 30 years and are vastly experienced in putting together bespoke programmes specific to a schools needs. Whether it’s working towards GCSE PE modules, John Muir Award, Duke of Edinburgh Award, or any other qualifications you may need, we can put in place training and development days to suit you. 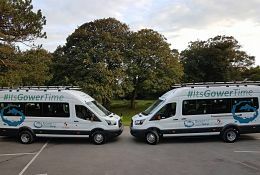 Likewise, if you are just after a fun and exciting visit to reward young people and give them experiences they will never forget then Gower is the place to be. 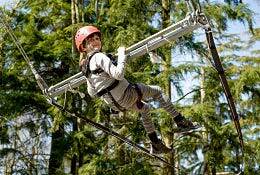 Our team of highly qualified outdoor instructors will be able to provide your school with a tailor made itinery for your trip and we will work closely with your school both before and during your visit to ensure we meet your needs and any curriculum requirements. 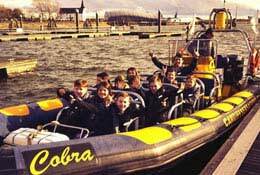 Why are Gower Activity Centres great for School Trips and Educational Visits? The house is situated in grounds bordering the sand dunes and family friendly blue flag beach and has a large garden with picnic benches. There is a large multi-activity room, a dining room, a drying room, a kitchen for use by residents, and access to wifi. 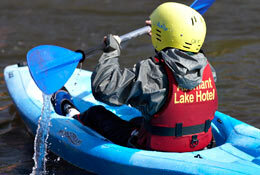 The venue is ideal for school groups as we have a range of outdoor activities on our doorstep. 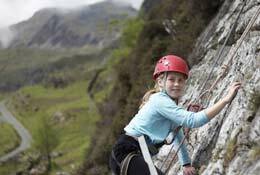 We can provide your school with a wide range of activities such as rock climbing, abseiling, surfing, Stand up paddle boarding, rock adventures, woodland studies, team building and many more all from the local area. We can create bespoke programmes and itinery to suit your schools specific needs and requirements. We can cater for 28 pupils and 4 staff comfortably using the beds at the centre. This can be increased to 35 pupils plus 4/6 staff by using additional pull out mattresses. Yes we have a large activity room with smart TV and Wi-Fi facilities. 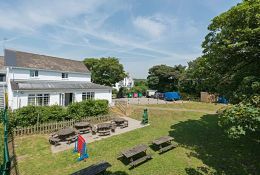 Schools also like to make use of our extensive grounds and take the classroom outside. All of our instructors are qualified first aiders. We are also a qualified first aid training provider. Yes, we have a ground floor en-suite bedroom which is suitable for wheelchair users. We also have a ground floor disabled bathroom. Yes, we have worked closely with schools and children with special educational needs over the last 30 years. We can tailor your visit to suit any special needs your group may have.